This column celebrates another small victory. The Ohio State Bar Association Report (OBar) had for many years been using a non-standard system for the headnotes to cases. This was a problem because it could lead Ohio lawyers to think citing “ORC Sect. 4511.19” was correct. It is not. The proper citation is “R.C. 4511.19.” In Ohio, we do not use the section mark (Sect. ). Plus it is R.C. not ORC, and there are periods. In one citation, the people doing the headnotes were making three errors. For months, I emailed away, pointing this out. No response at all. But I finally got the right person, and it’s now fixed! 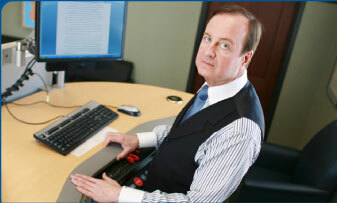 Now, Ohio lawyers won’t be misled. A small step, but an important one. All cases published in Ohio are in the Ohio format, so lawyers and judges are used to reading that — if you use something else, you detract from readability. Why not do it right — and make it easy on the reader? If you are in doubt about a citation format, or anything else, the official manual, and the 2002 changes (one of which bans the use of italics for anything but emphasis — Latin words are no longer italicized) are online at www.sconet.state.oh.us/rod. Does that convey any meaning at all? Of course not — it’s just legal nonsense. But we litter our legal documents and pleadings with it. Delete it. Just write “Jones moves for summary judgment.” Unless, of course, the honor of the court is actually in question. Questions on usage, style, or grammar are welcome. 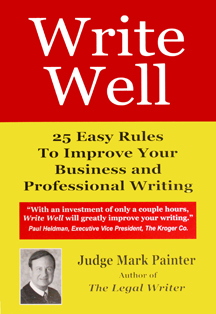 Please send questions, comments, or particularly good or bad examples of legal writing to jugpainter@aol.com. i Garner, Dictionary of Modern Legal Usage (2nd Ed. 1995), 779.
iii Painter, The Legal Writer 2nd Ed. 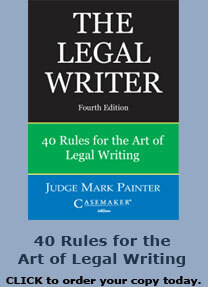 : 40 Rules for the Art of Legal Writing (2003), 61-72.